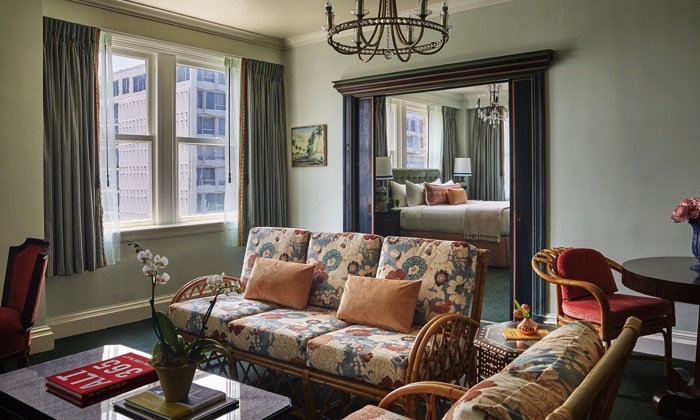 Step inside the doors of the Pontchartrain Hotel, a gem located in New Orleans’ Garden District. Located inside a 1927 four-story building, it offers a one of a kind luxury service with all the soul characteristic of the city. Enjoy comfortable amenities, first-class service, and close proximity to fun activities and local attractions. The Pontchartrain Hotel offers a sanctuary where visitors and locals alike mix it up. The reinvented space offers four restaurant and bar options, including a stunning view from the rooftop bar and lounge. Whether you’re looking for a relaxing stay, a cultural experience, or you’re just here for the night, this is one of the best places to stay in the city. Enjoy a wonderful stay in a hotel that feels like a home away from home. There’s a reason one of the best hotels in the world by Travel and Leisure. Today, it holds just as much character. Through its new renovations, the ritzy glamor of the city shines. Guests marvel at its beauty and we’re pretty sure you will too. 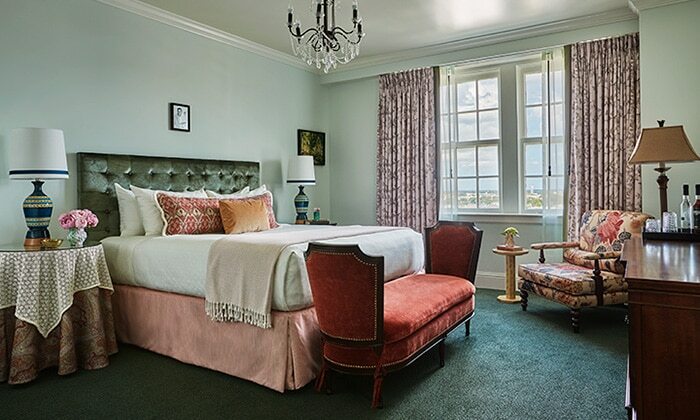 The Pontchartrain Hotel is one of the most beautiful places to stay in all of New Orleans. 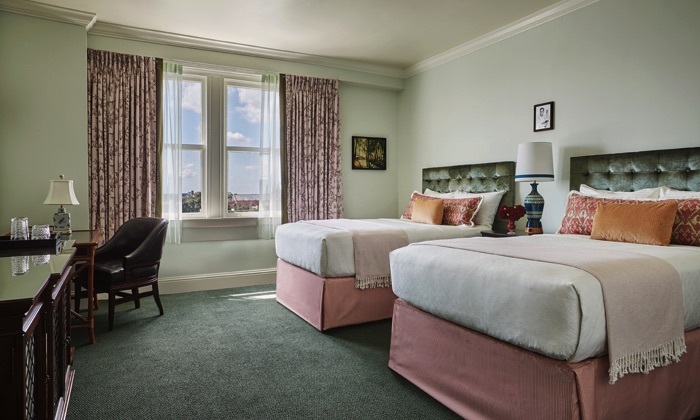 The Pontchartrain Hotel offers breezy interiors with rooms designed for max comfort. Here, old-school touches blend effortlessly with modern luxuries, while antiques from the south meet a European flair. Black and mint green hue line the walls give off a natural, earthy vibe while textured Moroccan rugs give your room the ultimate homey feel. Altogether, it’s an effortlessly beautiful sanctuary. 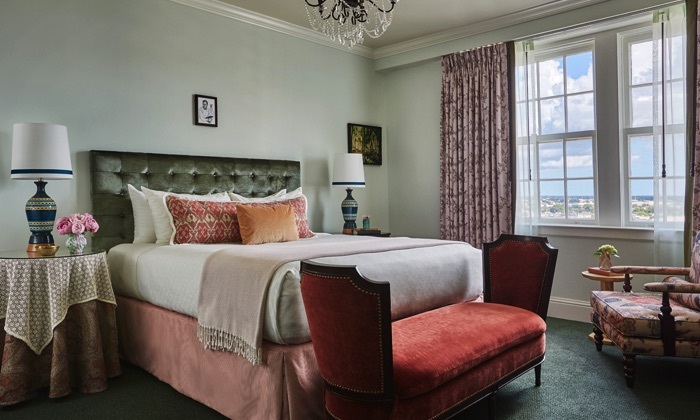 There are seven different types of rooms offered at the Pontchartrain Hotel, each designed to meet your specific needs. Let’s take a look at each of them and see what they have to offer. This oversized room features a king-size bed, reading nook, desk, and flat-screen TV set. The ensuite bathroom contains Le Labo products, a hairdryer, and bathrobe. Also included in the room is a mini-bar along stocked with local favorites, an alarm clock, and an in-room safe. All of the rooms are equipped with complimentary WiFI. The Erato Double is a spacious room complete with two double-size beds, a reading nook, desk, and flatscreen TV. The ensuite bathroom includes Le Labo products, a hairdryer, and bathrobe. The room also includes a fully-stocked mini fridge, alarm clock, and an in-room safe. All rooms are equipped with complimentary WiFI. This oversized room comes with two queen-size beds, a sitting area with a sofa, chair, and flat-fscreen TV set, as well as a desk. The ensuite bathroom includes Le Labo products, a hairdryer, and bathrobe. The room also includes a fully-stocked mini fridge, alarm clock, and an in-room safe. All rooms are equipped with complimentary WiFI. 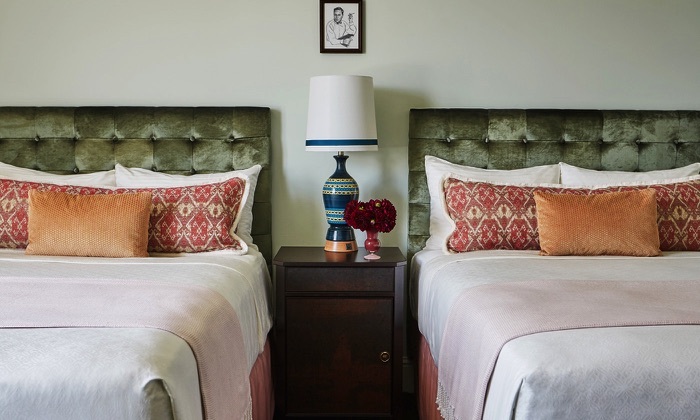 This two-bedroom suite includes a master bedroom with a king-size bed as well as an adjoining bedroom with two standard beds ideal for families. 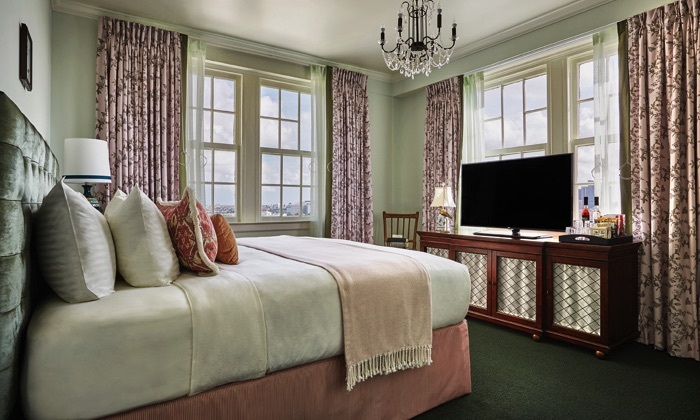 Both New Orleans hotel rooms are equipped with flat-screen TVs and share a large bathroom. The ensuite bathroom includes Le Labo products, a hairdryer, and bathrobe. The room also includes a fully-stocked mini fridge, alarm clock, and an in-room safe. All rooms are equipped with complimentary WiFI. This well-decorated king suite includes a master bedroom with a king-size bed as well as a cozy reading nook. There is also an additional living room space with a sofa, seating and entertainment areas, and a deck. This large double bed suite features a master bedroom with two double beds. There is also an additional living room space with a sofa, seating and entertainment areas, and a deck. This lovely two bedroom suite includes separate sleeping areas with king-size beds and a connecting bathroom. There is also an additional living room space with a sofa, seating and entertainment area with a workspace desk. Iconic food and drinks abound at the Pontchartrain Hotel. The hotel offers four dining options, the Bayou Bar, The Silver Whistle Cafe, Jack Rose, and Hot Tin. Let’s take a look at each and see what they have to offer. Welcome to the spot where the New Orleans Saints franchise was christened in 1966. This casual bar offers a tavern-style ambiance complete with exposed wood walls. Want to know its claim to fame? It once served as the watering hole for both Sinatra and Capote. Today, it features an extraordinary menu of whiskey and craft beer. Locals and tourists alike flock to grab a cold drink at its counter. Hey, it’s five o’clock somewhere, right? In times past, the Silver Whistle Cafe served as the powerhouse of the Garden District. Lawyers, judges, and even oil moguls all came here to share a cup of joe and talk shop. 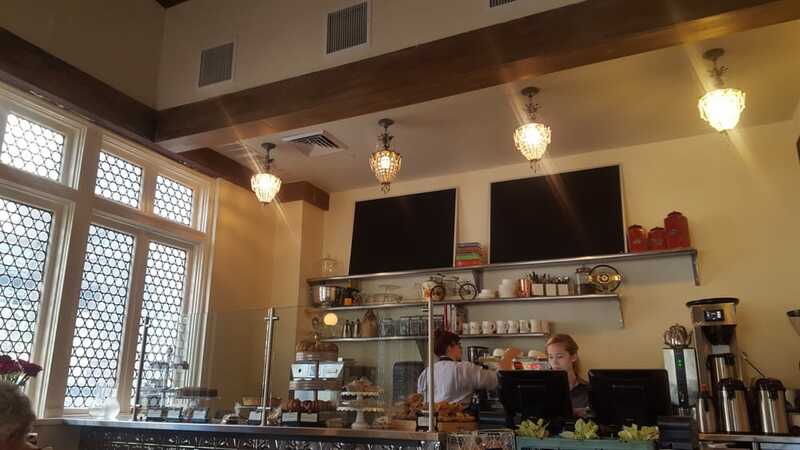 This top ten cafe has returned uptown along with its high-quality coffee program, and mouth-watering bites. Chef Chris Lusk introduces a modern menu to the Pontchartrain Hotel alongside the classic stuff (aka the blueberry muffins). In a nod to the original location, the Silver Whistle manages to maintain all the character of a truly historic space. Located on the first floor of the Pontchartrain Hotel, Jack Rose restaurant offers up a fun, eclectic dining experience to its guests. The lively atmosphere encourages a spirit of celebration. So whether you’re enjoying dinner in the Jack and Rose rooms or hosting an event in the Mile High Pie Club, you’re sure to have a good time. Snack on some delicious appetizers, snap some pictures in front of the Lil Wayne portrait in the living room or sip some sparkling Rose on the garden patio. Step inside the jewel of the Pontchartrain Hotel. 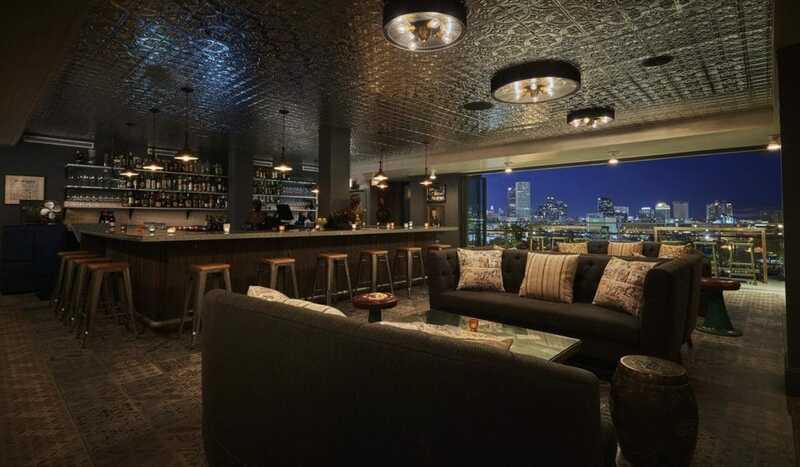 This swanky little rooftop bar offers plenty of space and a breathtaking 270-degree panoramic view of the Mississippi River and downtown New Orleans. Behind the bar, skilled servers and mixologists sling elevated cocktails and delightful champagne. The ambiance reminds us of something out of a 1940s film. If you look for them, you can spot nods to the famed playwright, Tennessee Williams. Hosting an event? Check out the Pontchartrain Hotel website for information on accommodations for partied and other large gatherings. The parlor offers a beautiful place to enjoy it all. 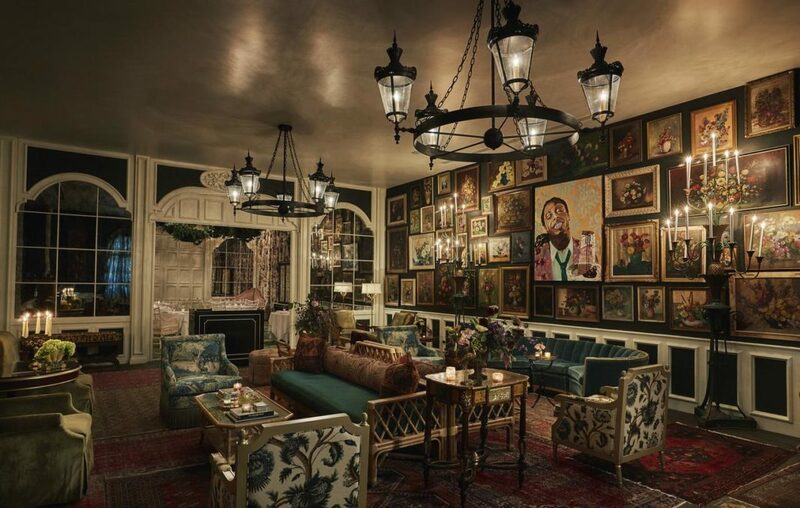 Tucked behind the main building, you’ll find the Parlor at the Pontchartrain Hotel. While it might not look like much from the outside, this unassuming garage door holds a gem behind it. The historic and glamorous shell is perfect for weddings, fancy gatherings, celebrations, and all sorts of grand events. Black tie optional. All across the board, travelers rave about the luxury offered to them during their stay at the Pontchartrain Hotel. There’s a reason why it was voted as one of the best hotels in the world by Travel and Leisure. Everything about it is impeccable - Location, cleanliness, comfort, value for the money, facilities, staff, and complimentary services like free WiFI. 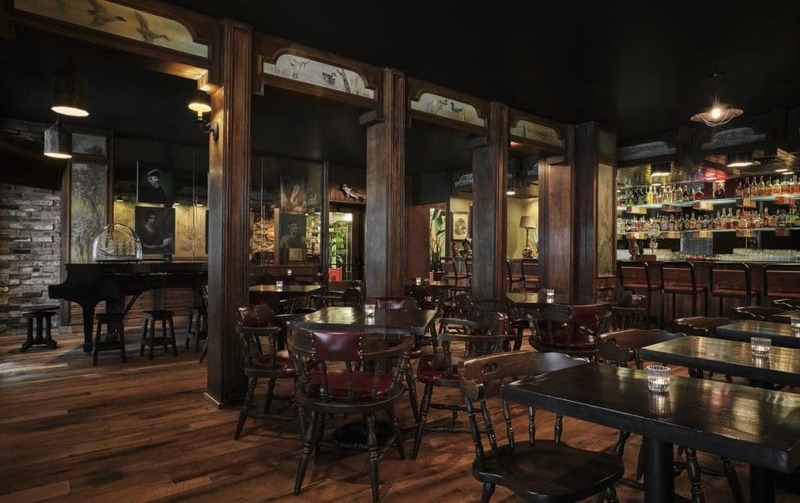 While it’s definitely a lot more swanky than you might expect, that’s just part of the charm (and New Orleans culture). The staff are warm, welcome and accommodating, ensuring you have everything you need to be your most comfortable. 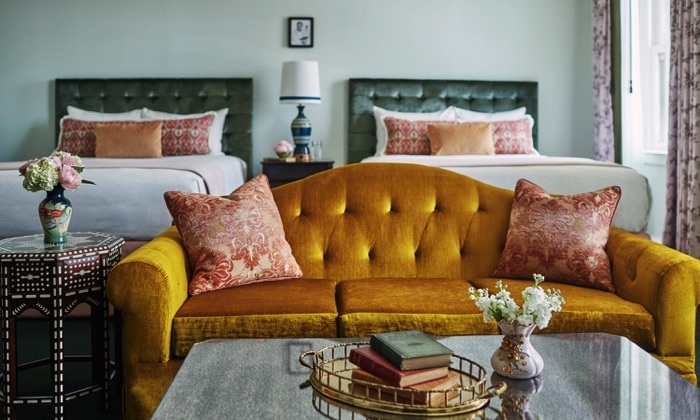 We highly recommend the Pontchartrain Hotel to anyone looking for a fun, chic place to stay in the city. The prices are good, the location is great, and the service is even better. Do you have any questions or comments for us? Perhaps you have some recommendations for things to do in New Orleans. Whatever you have to say, we would love to know. Send us a message in the comment section below.